Beach days. In Aruba, that’s every day. The island is located outside of the hurricane belt, so you can bet your bottom sand dollar that you came to right place if you’re in search of some sun. Not only is this luxe Caribbean hideaway easy to get to, U.S. currency is conveniently accepted. Ready to acquaint yourself with year-round, 80-degree bliss? 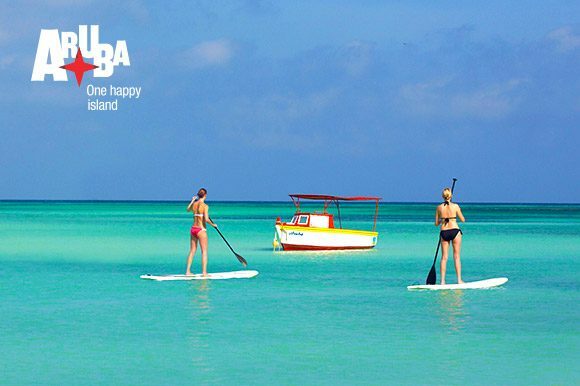 Here are a few of our Aruba favorites. You heard right. Aruba is home to some out-of-this-world beaches. The water is warm, and when you ditch your flip flops you’ll find that the white-sand beaches are as powdery as can be. Eagle Beach, with its soft white sand and clear Caribbean water, is the Instagram pic seen ‘round the world. And it’s a great place to try out a little beach tennis (Yep. It’s a local favorite. And you’re going to love it). If you’re a fan of body-boarding or surfing, Andicuri Beach on the country’s windward coast will throw some waves your way. Rub shoulders with local artists at Korteweg, a local pop-up art fair. Since 2015, Korteweg has been an opportunity for art fans to mix and mingle, discover local masterpieces and savor local flavor. 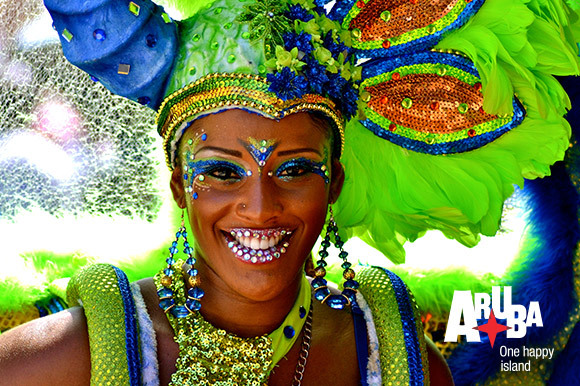 On Tuesday nights at the oldest building in Oranjestad, Fort Zoutman, the Bon Bini Festival celebrates Aruban folklore with dance, song and local cuisine. But sometimes, the most relaxing thing you can do is kick your feet up with a frosty bevvie in hand and watch some athletes do the exact opposite. 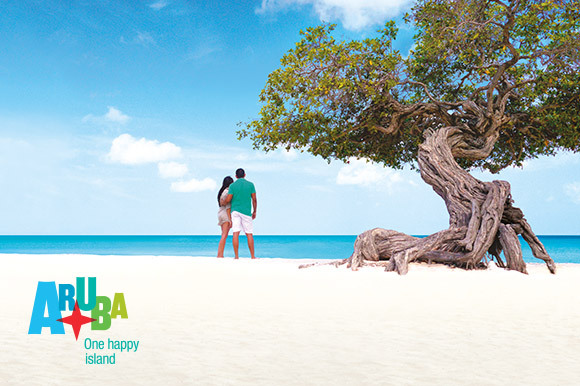 Check out the Aruba Beach Tennis International Championships or the Aruba Hi-Winds Windsurfing event. When the Caribbean sun sets, the evening heats up. So, what might an evening in Aruba look like? We’d recommend priming the tanks with some of the most delicious fusion cuisine you could imagine. 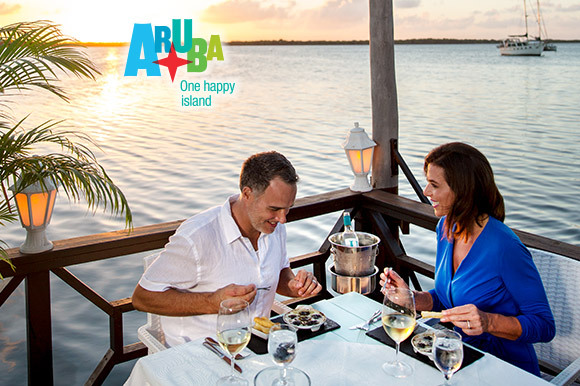 Over 90 different nationalities call Aruba home, so your dinner might resemble a Caribbean-meets-African-meets-European potluck—but every bite will be better than the last. After you’ve sampled the local fare, try your luck at one of the island’s twelve casinos. Yep, sometimes Aruba is called the Las Vegas of the Caribbean. Finally, shake things up with a little help from the steel bands, discos and nightclubs—and whatever you do, don’t miss the grand parade for Carnival in February. It’s more than a party. It’s a nation-wide get-down. Check out some more Aruba inspo here, or if you’re ready to make paradise happen, get cracking.